Save the Date! May 17 is the Highmark Walk for a Healthy Community. Do you have your walking shoes ready? We’re participating in the Highmark Walk for a Healthy Community again this year! Last year, you helped us raise $17,986, and 131 people walked for us on the day of the event. Isn’t that incredible? This year, our goal is to raise $25,000 and with your help, we know we can succeed! The Highmark Walk for a Healthy Community is a 5K or One-Mile Fun Walk, and it will be held on May 17 at Harrisburg Area Community College. Registration opens on February 10! We’ll have more details for you soon, but for now, make sure you put the Highmark Walk on your calendar for May 17! PawsAbilities is coming up on March 8-9, and that means it’s time to start baking! If you make homemade dog treats for your dogs, now’s your chance to enter them in the Great Biscuit Bite Off to find out just how good they are. 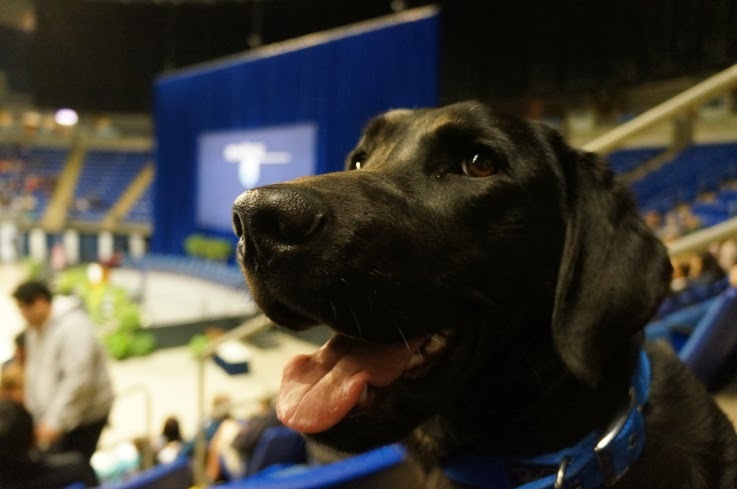 Our service dogs in training will be judging the contest and selecting the top three best dog treats. It’s free to enter, and the top three winners receive ribbons. To enter, just bring 15 biscuits and at least one copy of your recipe to the Information Booth on Sunday, March 9 by 10:30 a.m. Remember to include your name on your recipe! Judging begins on the stage at 11:30 a.m. Final judging will be held at 2:30 p.m.
For info is available on the PawsAbilities website. This is one of our favorite events at PawsAbilities. Our service dog judges can be very selective about their favorites! Watch a clip from last year’s Great Biscuit Bite Off of Rizzo judging the finals. 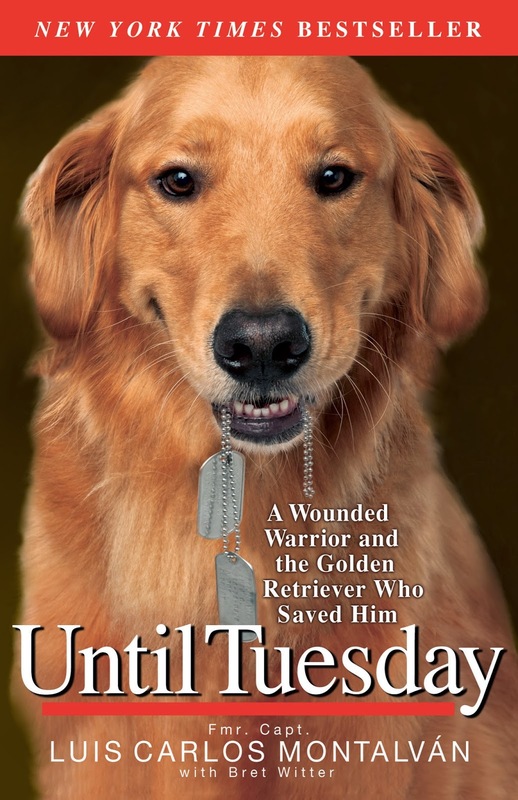 Have you read the book Until Tuesday: A Wounded Warrior and the Golden Retriever Who Saved Him? It’s a compelling story of how a man and a dog found strength and healing in each other. 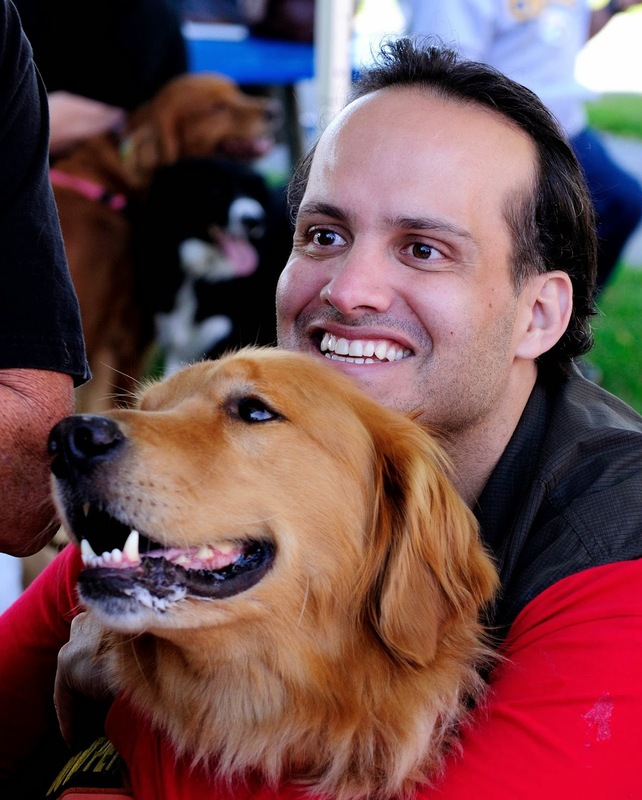 We’re very excited to announce that Luis Carlos Montalván, the New York Times bestselling author of Until Tuesday, and his service dog Tuesday are coming to PawsAbilities! In Until Tuesday, Luis shares his struggles with his physical wounds and crippling post-traumatic stress disorder after returning from the war. Alone and in pain, he wondered if he would return to a normal life—until he met Tuesday. With his service dog Tuesday, Luis began to heal and find peace, and Tuesday, who had his own issues connecting with people, found the one person he could trust. Until Tuesday is a beautiful story about the love and bond between and man and a dog and how they healed each other. Luis will be giving a presentation on the PawsAbilities stage and signing books on Saturday, March 8. Then on Sunday, March 9, join Luis for a VIP brunch and presentation. Tickets for the VIP brunch and presentation on March 9 are $35 and are only available in advance. Your VIP brunch ticket includes admission to PawsAbilities and a priority line to meet Luis at the book signing. The brunch and presentation start at 11 a.m. in the Keystone Conference Center at the PA Farm Show and Expo Center. Doors open at 10:15 a.m. The book Until Tuesday will be on sale at PawsAbilities, and all proceeds benefit Susquehanna Service Dogs. We hope you’ll join us for PawsAbilities and the VIP brunch and presentation with Luis! More information is available on www.pawsabilities.net. Thank You for Helping Us Raise $3,455 for Eva! Thank you for helping us raise money to support our new dog Eva! Sixty days ago, we set out to raise $3,300 to support Eva and her future puppies. With your help, we blew past our goal! We raised a total of $3,455. Thank you to everyone who contributed and helped spread the word! 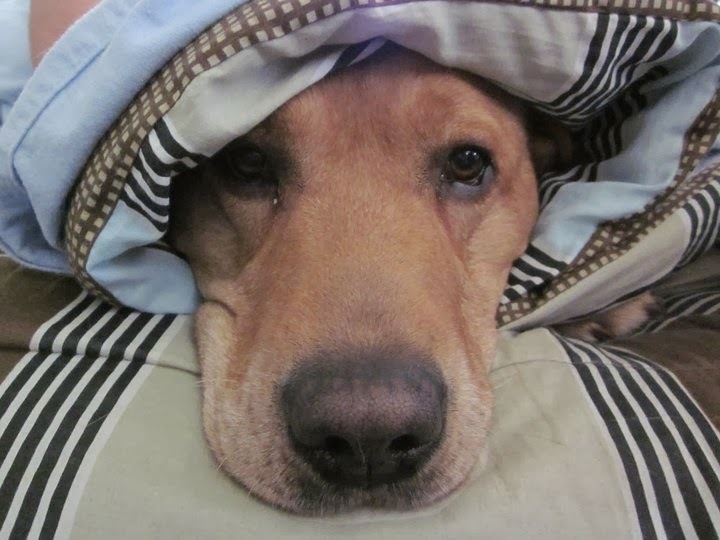 It’s freezing outside, which means you and your dog probably don’t want to spend much time outdoors. Your dog probably has lots of energy, since they’re not running it off outside. Here are some ideas for how you can help your dog get some exercise and use up some of that energy. 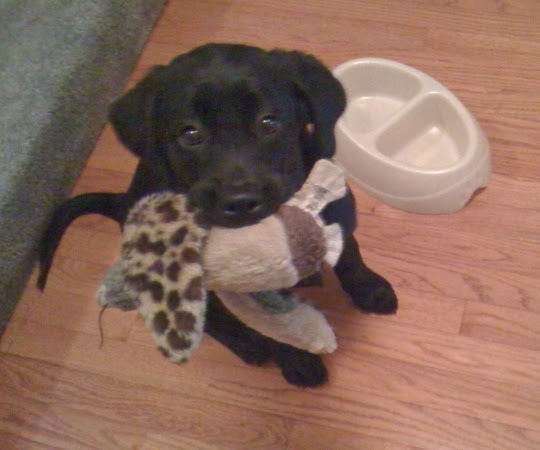 Toss a toy down a hallway or across the room and have your dog retrieve it. Use your dog’s favorite toy if they’re reluctant to retrieve. This is a great game to practice stays and recalls. Ask your dog to sit or down and stay. Then hide in a different room and call your dog to come. Remember to give your dog lots of treats when they find you! You can play this game in stages, depending on your dog’s skill level. Start by practicing recalls from a short distance and gradually move out of sight. Eventually, you can hide so your dog really needs to search in order to find you. Create an obstacle course based on your dog’s skills. Set up chairs and other obstacles for your dog to weave through at your side. Have your dog go under a table or a desk. 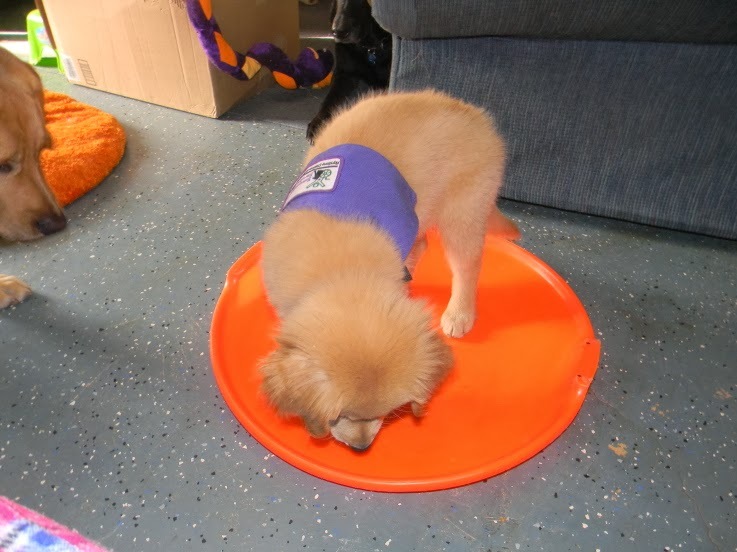 Create tight spaces for your dog to practice “go on through.” Ask your dog to sit and down at random parts of the obstacle course. Set out different surfaces for your dog to walk over. Have fun with it! Instead of giving your dog all their dinner in their regular food dish, put some of it in a treat dispensing toy, or freeze it with some peanut butter in an empty marrow bone or Kong. It will keep your dog occupied and moving around, depending on the toy. 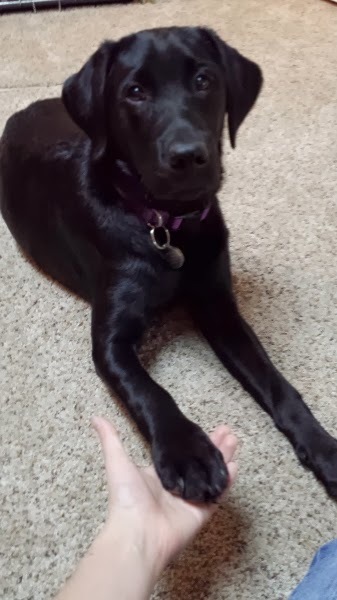 If your dog just needs to calm down, give them a puppy massage. Ask your dog to sit or down and then gently rub their shoulders, chest, and hips. If your dog rolls over for a belly rub, give them a nice, calm belly rub. By keeping your movements slow and gentle, you may even put your dog to sleep. It’s Farm Show week, and of course, that means Farm Show weather. If you’re from Central PA, you know exactly what we’re talking about—snowy, icy, cold weather. A polar vortex is coming through, and tonight and tomorrow, temperatures are plunging, hitting a low of 3 degrees Fahrenheit tonight and only getting up to about 12 degrees tomorrow. Stay inside if you can. That goes for your dogs, too! Here are four safety tips for cold weather. Just because dogs have fur doesn’t mean they can tolerate cold weather better than people. They can still be affected by the cold, and their paws can get frostbitten. Limit your dog’s time outside. Puppies have a much lower tolerance for cold weather than older dogs do, so try to keep them indoors as much as possible. Ice melters, antifreeze, and other chemicals can be toxic to dogs. 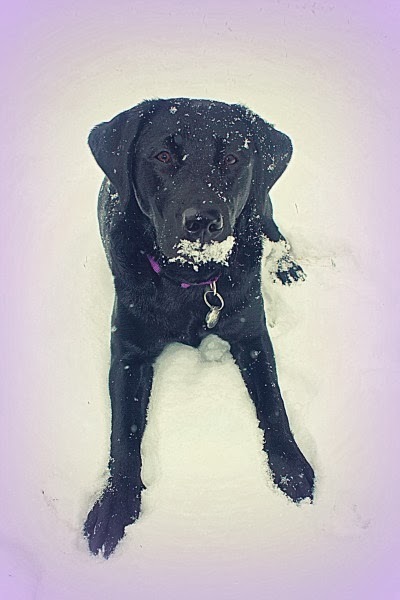 Try to avoid contact with rock salt and don’t let your dog lick antifreeze. If you’re outside and your dog suddenly kicks out a leg or acts like they don’t want to put their paws back down, move off the side walk or move into another area of the grass quickly. There may be chemicals on the ground that are burning your dog’s paw pads. When you come inside, wipe your dog’s paws with a damp towel so they don’t ingest any chemicals that may have gotten on their paws. Examine your dog’s pads for cracking or irritation. This one should speak for itself. In cold temperatures, don’t leave your dog unattended in the car. Your car can turn into a freezer quickly. If your dog has long fur, make sure you check it for ice build-up, especially in between their pads. Stay safe and warm! 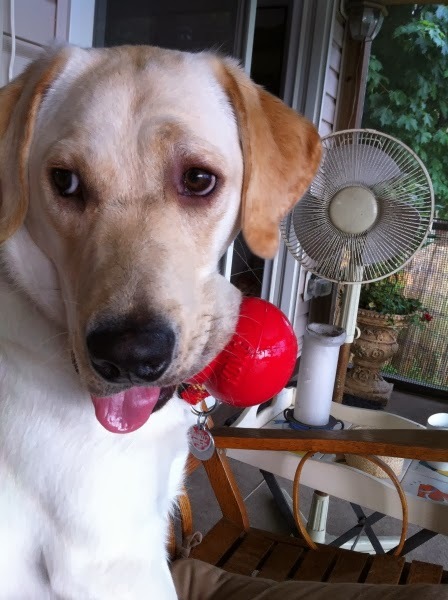 Tomorrow we’ll post some ideas for helping your dog get some exercise while staying indoors.